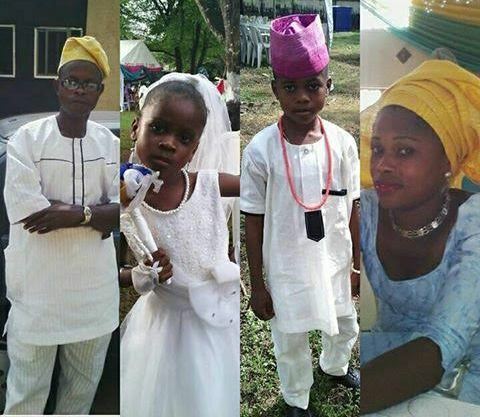 A very angry girlfriend has gatecrashed her ex-boyfriend's wedding to his new love, wearing her own bridal gown and veil as guests scream in shock at a ceremony. 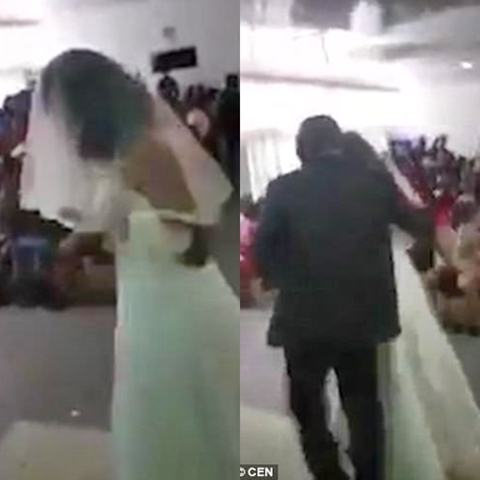 The shocking moment a spurned lover gatecrashed her boyfriend's wedding to another woman by walking down the aisle in a bridal gown, has been captured on camera and shared online. 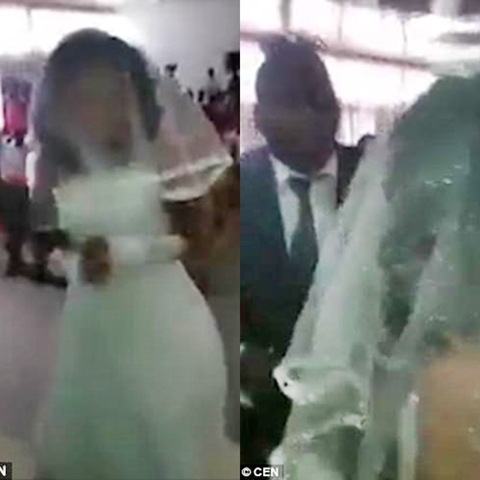 According to Dailymail UK, the unidentified lady reportedly burst in during the ceremony in the town of Benoni in north-east South Africa, wearing a wedding dress and veil. A video footage posted on Twitter by @nkokhi, shows the groom arguing with the lady who was described as the groom's 'side chick', while his bride-to-be stands by the altar, waiting to be wed.